Please allow 0.3-0.6 inch difference due to manual measurement. Material: 95% Polyester, 5% Spandex. Stretchy and Soft. 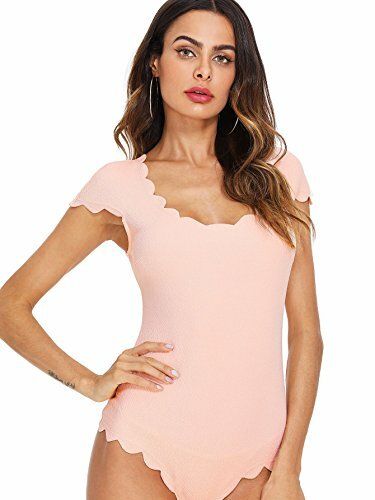 Sleeveless, Scoop Neck, Scallop Hem One Piece Leotard Bodysuit Tops. Backless, Bodycon Slim Fit, Cute and Elegant. Suitable for club, party, beach, vocation in summer.